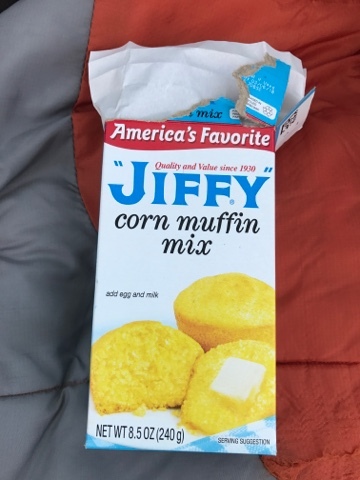 After visiting the Lodge Factory Store (see separate blog post), I decided to stop at the Shop Right grocery store in Stevenson, AL and buy some cornbread mix. I saw a display about cooking cornbread in cast iron in the Lodge Factory store and it peaked my interest to try making some with my Prius cook set. Above is the mix I bought that I figured would work for my experiment. I have a camping cook set and mixed the ingredients in a small pot. It required one egg and some milk. I had the egg but no milk so I chose to use some beer from the bottle I was drinking. It all mixed well and I sprayed the frying pan and put the cover on to keep the heat in. Don't look down.... look up at how nice it looks. My result was a little overlooked on the bottom. 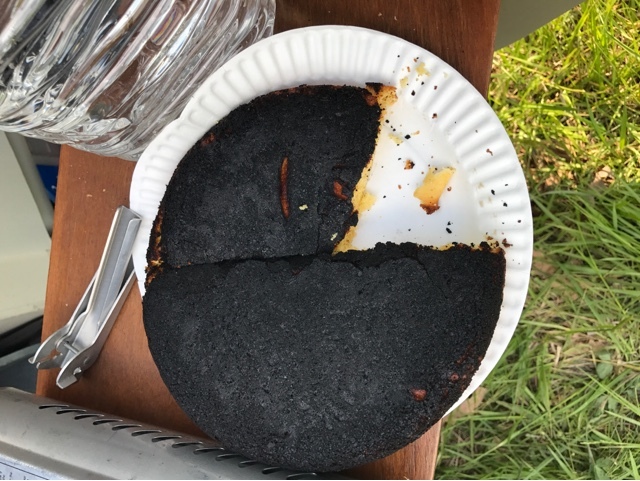 I should have checked the bottom sooner and shut off the flame and allow residual heat to finish cooking the inside or have turned the flame to nearly nothing. I ate it anyway with soup for one meal and beans and hotdogs for another. 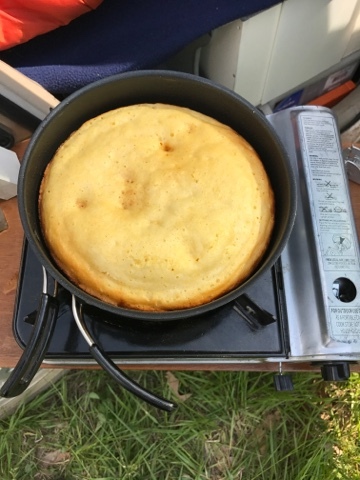 My technique needs some work but it is possible to cook cornbread in my camp cook set.